In northeast Syria, thousands of sleeping enemies – bombs, mines and booby traps – are preventing the population from returning safely home. Humaid and his family had recently returned to their home in Deir ez-Zor, northeast Syria, as fighting in the area had calmed down. Two months later, five of his daughters were injured by a hidden explosive device. “They were playing and helping to sort out firewood on the rooftop when something hidden behind a roll of wool blew up and almost killed them,” he says. With injuries ranging from small cuts to a double leg amputation, the sisters aged from four to 13 are now recovering in a Médecins Sans Frontières (MSF)-supported hospital in Hassakeh. 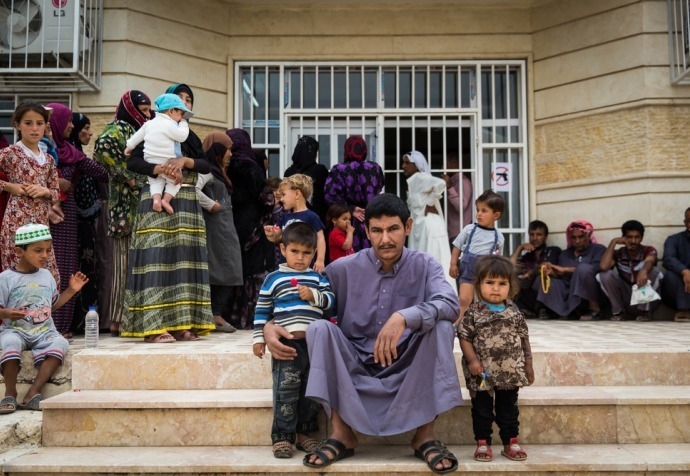 The conflict might be decreasing in northeast Syria, but the population’s suffering is far from over. People like Humaid’s daughters are still being affected as they return home to find houses and cities in ruins. But they’re faced not only with structural damage: their buildings, streets and fields are littered with explosive devices, including booby traps, landmines, unexploded bombs and rockets. These victim-activated weapons, which demining experts number at hundreds of thousands, are hidden below staircases, on the road, and in everyday items like pillowcases, cooking pots and even toys. Sadly, many of their victims are the most vulnerable: children. MSF is seeing an increasing number of people wounded by these devices. Their injuries vary from superficial lacerations to acute vascular injuries that require amputation of limbs, and have devastating lasting effects for our patients, both physical and psychological. We are supporting two hospitals in northeast Syria, one in Tal Abyad where since November the number of blast injury cases has surged to 50 per week, mostly people from Raqqa governorate. 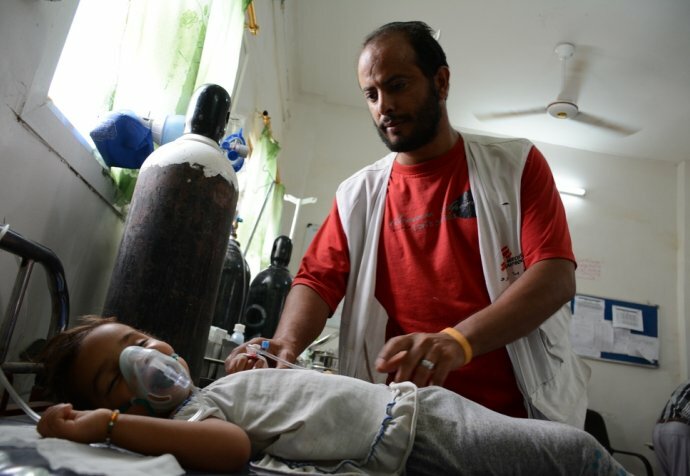 At Hassakeh hospital we have received 133 people wounded by landmines and booby-traps in 4.5 months, and numbers have sharply increased in 2018. Where do we go from here? Cities and towns require urgent demining, however, there is insufficient demining equipment and expertise currently available to meet the immense needs. Mine risk education to increase people’s awareness of these devastating but avoidable deaths and injuries is essential. Thousands of displaced people are returning to their homes, some with no knowledge of the presence of these devices or that the risk is so high. The return of these people continues to be passively encouraged and facilitated even while the humanitarian and de-mining community have signalled that conditions are not safe. Any returns to these areas must be safe, voluntary and informed. We have called on all actors, international and local, to make this possible through urgently allocating funds and resources to demining action and risk education activities in northeast Syria. At the same time, people desperately needs closer and quicker access to medical care. When a person is critically injured by an explosive device, every minute counts. Our hospital in Hassakeh is the closest free-of-charge secondary healthcare facility to Deir ez-Zor, but it is six hours away from some parts of that governorate. Many roads in the region remain damaged or blocked. Consequently, too many people are at risk of dying before they can even reach our care. While unexploded ordnances pose an immediate risk for those returning home, the longer-term risks facing Syrians relate to the destruction of infrastructure and the economy. Essential systems such as drinking water and waste systems are often broken. There is limited access to healthcare and services like routine vaccinations for children are very limited. Many families have lost loved ones due to the war and the mental health needs are significant. Public hospitals are slowly starting up again but face severe damage and staff shortages in many places. Without a considerable upscaling of international effort dedicated to the de-mining and rebuilding of communities in northeast Syria, serious humanitarian and medical needs will continue for many years to come. While the war is largely over in some areas, the responsibilities of belligerents, including the Australian Government, are not finished yet: millions of people remain displaced in their own country, expecting to come back home. The international community now needs to commit more to rebuilding cities in Syria and Iraq. The Australian government, among others, have made a commitment to support the UN agencies to rebuild fractured communities, but must also shoulder a responsibility to repair the staggering damage inflicted on cities and their residents by the weapons used during the conflict. If the basic needs of post-war communities are not addressed, instability can provide fertile ground for violence to emerge once more, and claim more victims like Humaid’s daughters.